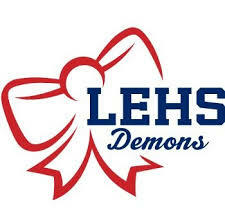 Little Demon Cheer Clinic is Saturday, Sept. 8th from 9 – 12 PM in the Main Gym at LEHS for ages 4-11. cost is $35. Please see attached flyer for more information. Pre-register at shorturl.at/gjmn7 until Thursday, 9/6 and pre-pay in the Wellness Center until Friday, 9/7. You can register and pay on the day of, as well.